Last week, the effort to raise awareness in Vietnam about the plight of the rhino was in full swing as 20 famous Vietnamese celebrities, musicians and artists took part in a two-hour, nationally broadcast show called The Call of the Wild. In association with Vietnam Television (VTV) and coordinated by WildAid, African Wildlife Foundation (AWF) and Vietnamese-based Center of Hands-on Actions and Networking for Growth and Environment (CHANGE) through the “Stop Using Rhino Horn” campaign, the show drew in superstars from Vietnam’s entertainment industry, including singers Thanh Bui and Thu Minh, presently judges on Vietnam Idol who last year visited rhino conservation projects in South Africa. 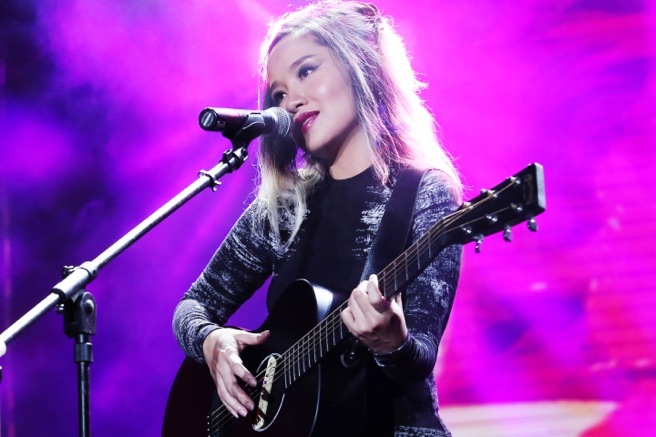 Singer Mai Khoi is helping raise awareness about the plight of Africa’s rhinos. 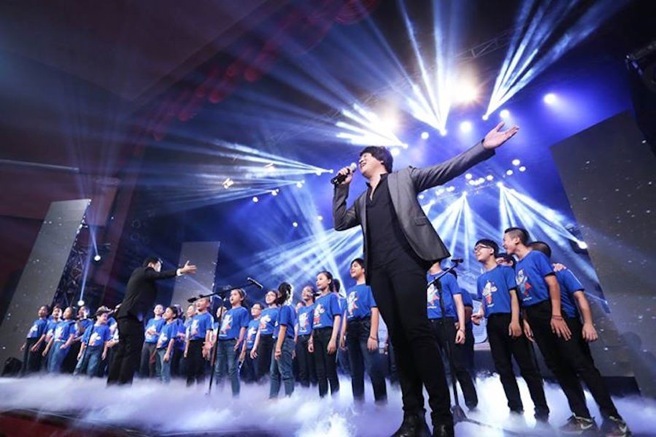 Other guests included previous Idol winners Phương Vy and Quốc Thiên, actress Hong Anh, singer Mai Khoi, Mrs. World’s second runner-up Thu Huong, and an a capella group of 50 students from SOUL Music and Performing Arts Academy, among many others. More than 1,000 young audience members from Ho Chi Minh City rounded out the crowd at Ben Thanh Theatre/District 1. 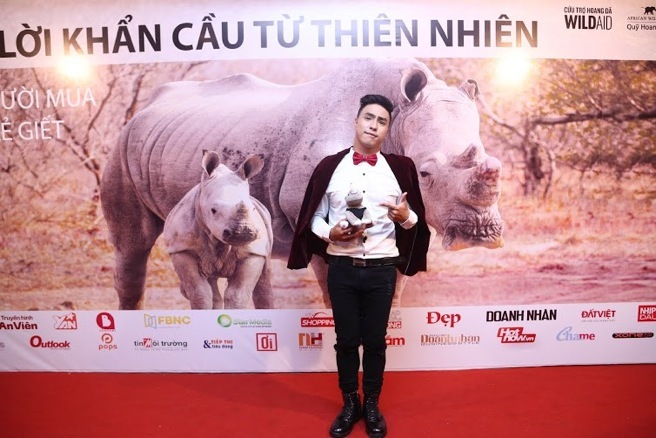 The show, which engaged Vietnamese youth through music and entertainment, spotlighted the poaching crisis in Africa, encouraging them to become rhino advocates and to speak out against the illegal trade and consumption in rhino horn. Vietnam remains the largest market for rhino horn in the world. Consisting of keratin—the same material found in fingernails and hair—rhino horn is falsely believed to cure a number of ailments, from reducing fevers to curing cancer. The effort in Vietnam to reduce consumer demand for rhino horn comes amid back-to-back announcements of two seizures of wildlife products at the country’s international airport and one of its seaports. On August 13, Vietnamese press reported the seizure of 142 kg of rhino horn and 593 kg of elephant ivory at the port of Da Nang. The shipment was believed to have originated from Mozambique, a well-known export hub in Africa for trafficked wildlife products. The August 13th seizure followed close on the heels of another alleged seizure of wildlife products at Hanoi’s Noi Bai International Airport. That seizure too was alleged to consist of rhino horn and ivory. While the Mozambican and South African governments have signed a Memorandum of Understanding outlining their commitment to work together to stop rhino poaching and horn trafficking, little bilateral progress has been made on this front to date. The number of poachers arrested in South Africa continues to rise, yet poaching remains at an all-time high. In April, South Africa’s Department of Environmental Affairs announced that 393 rhinos had been poached since the beginning of the year, a 20 percent increase over the same time period in 2014. Conservation groups on the ground, however, estimate the death toll could be much higher. During last week’s The Call of the Wild show, Vietnam Idol winners and judges, musicians, dance groups and young people used their talent to spotlight the rhino crisis for two hours. Let’s hope their message was delivered into every household in Vietnam. A number of celebrity ambassadors in Vietnam have joined the “Say No to Rhino Horn” campaign launched by WildAid, African Wildlife Foundation and CHANGE. Top: Vietnamese singer Thanh Bui, who performed during The Call of the Wild show, visited South Africa last year to learn more about rhino conservation efforts. Photos by WildAid Vietnam.